Every task and project management tool needs to foremost enable you to get a quick status of your projects and help you decide on which task to focus next. Some core concepts help you to achieve this. Review date and time: This triggers a reminder (i.e. 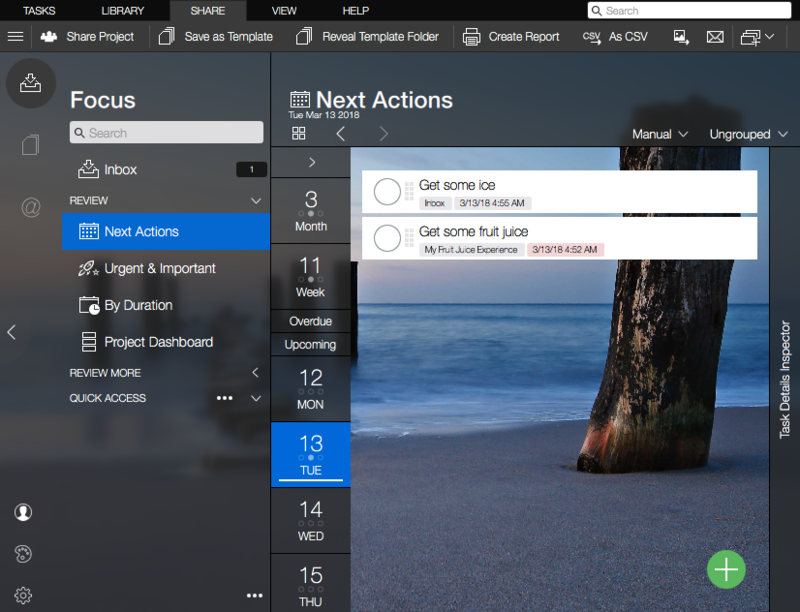 Notification) and dislays the task on the "Next Actions" view. Start date: The day you plan to start with the task. Due date: The day you need to be done with the task. The "Review Date" is not necessarily the due date for your task (although it can be). In general you can have many reviews (and postpone them) without running into trouble, unless you don't miss the due date. Review dates are meant as reminders that you have another look at the task. If you are still missing something to start with the task (i.e. parts needed to complete a job) set another review date and continue with the next task. 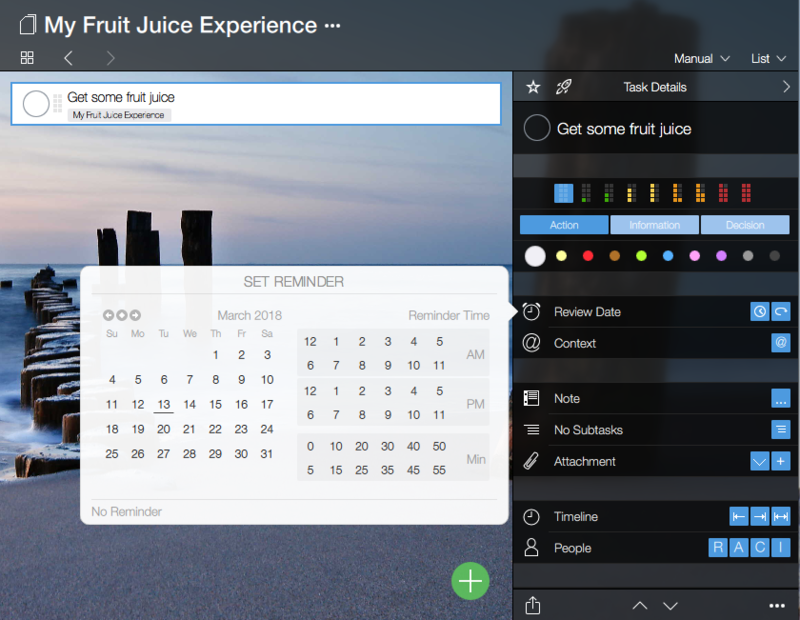 By adding tasks in the "Next Actions" view the review date of your task will be set automatically and your new task will be added to the Inbox. If you want to place the new task directly in a project that is visible on the Next Actions view, you can also duplicate an existing task and just change the title. By duplicating all other settings (dates, project, comment) are copied as well. To duplicate a task select it and open the ... menu at the bottom of the Task Details Inspector.